Applications have now closed for East London TV Training . Please follow us on Twitter and Facebook to be kept up to date with future opportunities. If you want to deliver similar activities in partnership please contact info@mamayouthproject.org.uk. Gain practical experience in while working on a 52 minutes current affairs magazine format show called "4Reel". Learn End to End TV Production, Camera, Sound, Lighting, Editing, CV tailoring, Interview Techniques, Communication and Presentation Skills. A team of 10 will be selected to train as self-shooting researchers in the MYP boot camp style. The candidates will be training intensively while producing broadcast quality content. The team will be set with the challenge of producing 52 minutes, current affairs magazine format show, studio shot with VT’s on location, covering issues related to young people. The items will be hard-hitting and light-hearted, bringing an insight into subjects that concern and interest all ages. All trainees that successfully complete the training will be recommended for paid work placements at the following companies: Endemol Shine, Panavision, Splice TV, Hat Trick Productions, ITV and will be given 6 months follow up support with employment. Who’s it for: 18 – 30-year-olds living in the boroughs of Islington, Hackney, Tower Hamlets, Waltham Forest and Newham ONLY. Applicants must not be in full-time employment or education. 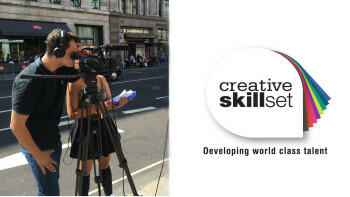 What skills you will learn: Writing creative briefs, organising interviews, camera operating, lighting, sound recording, Final Cut Pro editing, production managing, post-production paperwork, CV tailoring and interview techniques. Costs: The training is free. Travel cards for zones 1-3 will be provided for all participants. Apply: E-mail info@mamayouthproject.org.uk to request an application form. 10 young people completed the training successfully and 9 were recommended for a paid placement. 6 months on, 80% are still employed within the industry.